Thank you for visiting the web site of Grace Reformed Presbyterian Church. We are a local congregation of the Presbyterian Church in America. Sunday School for all ages: 9:30am Corporate Worship: 10:45am. Location: Stoneside Village, located at 602 W Dubois Ave, Dubois PA 15801. Directions: Click here for an interactive map. From I-80, go east 1.8 miles on US 219 and Stoneside Village is on the left. Coming from Dubois, we are just past the light at Dubois St. on US 219 after you pass the Harley Davidson dealer and the Dubois Diner. Attention men! Grace for LIFE is a Christ-centered recovery group to help men deal with sexual sin. Click here for more information on Grace for LIFE. 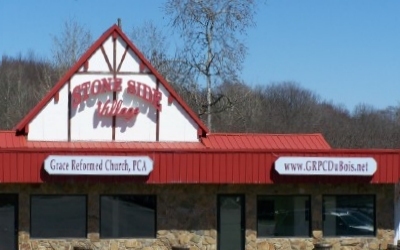 I would like to personally invite you to visit Grace Reformed Presbyterian Church for worship and service. Our goal is to see each person grow in the knowledge of the Lord Jesus Christ, to find personal assurance of being in him and to serve him out of thankfulness for his love for us. "We love because he first loved us." (1 John 4:19 ESV) We believe that the Lord uses his Word to grow his people in this way. Therefore, you will find a strong emphasis on preaching the Word of God as given to us in the Bible. 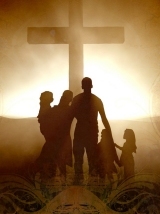 God�s eternal, infallible Word became flesh in the person of Christ and dwelt among his people. He completed our redemption 2,000 years ago by dying on the cross for our sins. In love, we strive to serve our risen Lord by proclaiming the Good News to everyone near and far. We rejoice and thank the Lord to be involved in this ministry - to proclaim the gospel of grace, to make Christ known and to labor for his Kingdom. I look forward to meeting you personally for worship, prayer and praise.